How can I set Google Tag Manager? HOME > SETUP AREA > How can I set Google Tag Manager? STEP 1: Click on SETUP and click on the icon SET GOOGLE CREDENTIALS. STEP 2: Make sure that on "Set Google Credentials" the "Individual Tags" don't have the Google Analytics code with the Active box ticked. If it's Active and in order to use Google Tag Manager, please remove the "tic" from the Active check box and save these changes. STEP 3: To enable integration with Google Tag Manager click on "Tag Manager" button and enter your Container ID code. STEP 4: Make sure you save this information with the "Tag Manager" option selected ( in blue) and click on the button. STEP 5: Under the WEBSITE tab, click on button, so that all this information becomes available on your website. 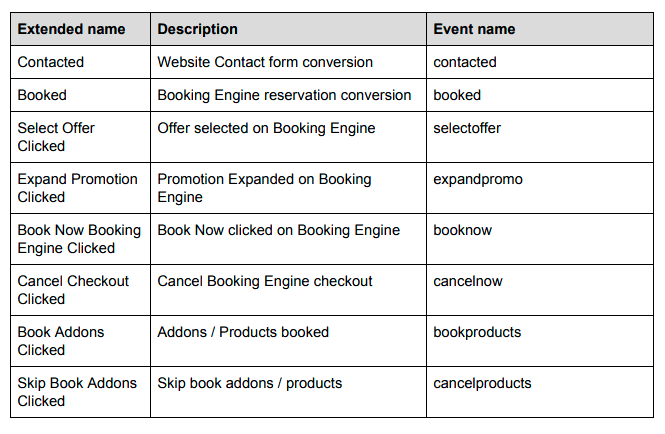 Guestcentric Google Tag Manager (GTM) integration provides 9 custom events that can be used as triggers to fire GTM tags. 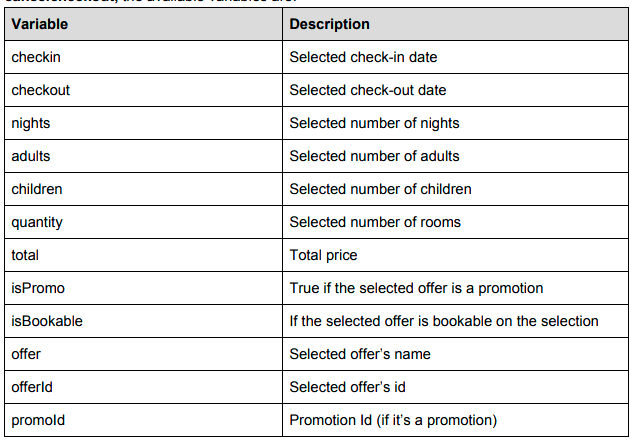 The available events are described on table below. Event names are case sensitive. 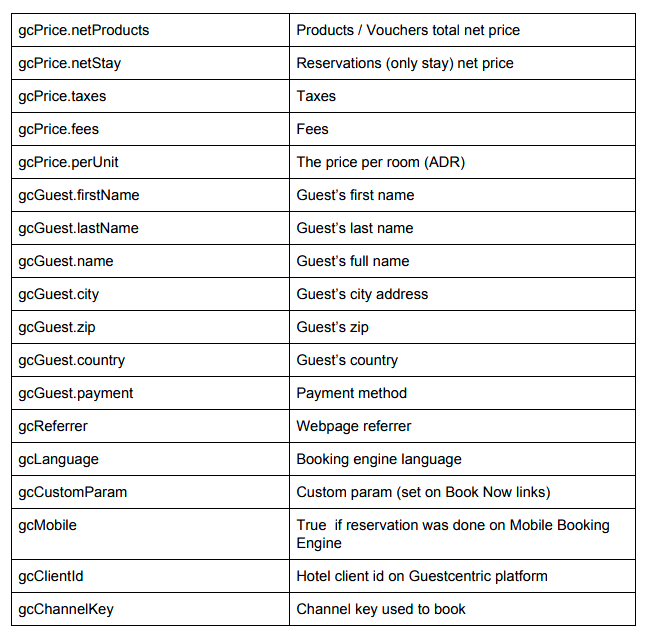 GTM integration integrates with Google Analytics and Analytics E-commerce. So on every event the analytics data (if available) like campaign, source and medium are pushed to GTM. 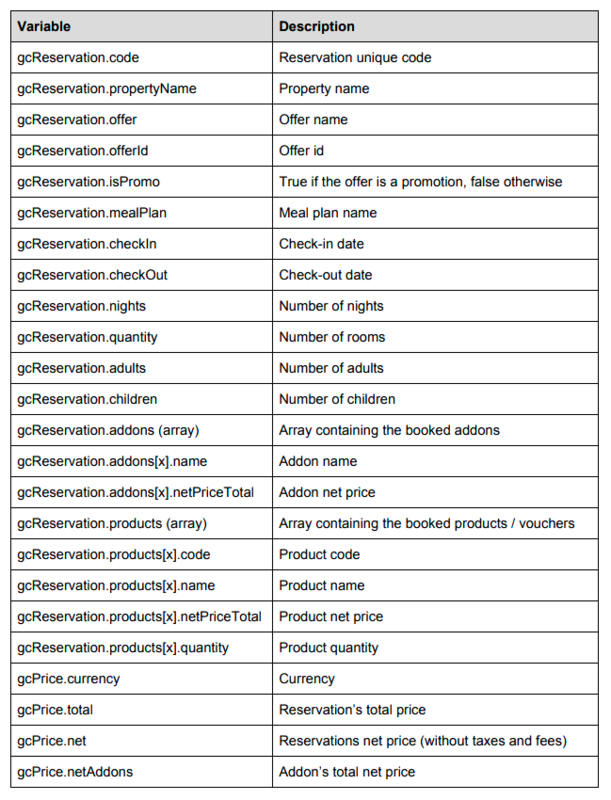 E-commerce transactions (name, sku, price) are also automatically pushed on booking engine conversion events. We also make available some more extra data if you want to use your own customized conversions, pixels, etc. The available data depends on the event. For the cancelnow and cancelnowproducts no variables are available. Our currently available documentation, is intended to be an initial aid to setup the basis in a quick/ essential way. In order to create your Google Tag Manager Account, sign in to your Gmail Account, visit Google Tag Manager and select SIGN UP NOW.